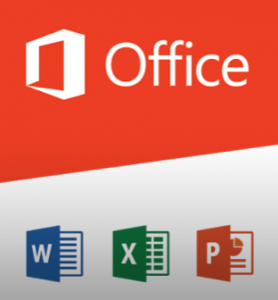 A couple of weeks ago Microsoft announced the Office version for Android. It shall become available in early 2015. Currently preview versions for Excel, PowerPoint and Word are available. Together with OneNote, OneDrive (for Business), OWA and Lync this sums up to a nice productivity package for Android in the enterpise universe. The last two weeks I spent some time to install and test the preview versions on a Lenovo IdeaTablet A3500-FL (7″ Display) with MTK 8121 (1,3 GHz) Quad-Core Prozessor, 1 GB RAM and 8GB storage. Compared to other free Office packages on Android (e.g. WPS Office, 60 MB) the Microsoft package is rather large (some 650 MB for Excel, PowerPoint and Word). The Android versions do not have the full Office 2013 for Windows feature set. (e.g. “Save as” supports only Office Open XML Format, but ODF files could be opened). I haven’t seen a feature comparison table from Microsoft yet. Over the next couple of weeks I will provide more Information on findings with this new package. I wish all of you a happy new year and happy testing.